Welcome to Graduate Studies in the Department of Pathology and Laboratory Medicine! Definition: pathology n. , pl. , -gies . The scientific study of the nature of disease and its causes, processes, development, and consequences. 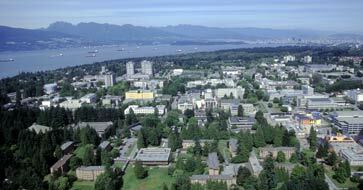 Welcome to Graduate Studies in Pathology at UBC! Come study the mechanisms of disease with us. The UBC Department of Pathology and Laboratory Medicine offers a remarkable opportunity to study with numerous world renowned faculty and research programs. We are recognized as national and international leaders in both basic and clinical research. We train students with varied backgrounds in science and medicine including: biochemistry, physiology, cell biology and microbiology/immunology. Three degree programs are available: Master of Science, Doctor of Philosophy and combined Doctor of Medicine/Doctor of Philosophy. We are committed to effective, cutting-edge, ethical research. The results of which will reach beyond the academic realm to affect positive change in the lives of our families, communities and, ultimately, our world. Achieve your career goals. It all starts here.